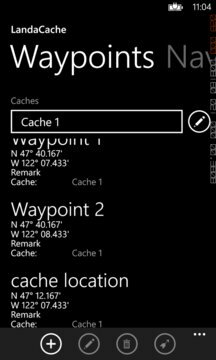 Add and edit different caches and waypoints. 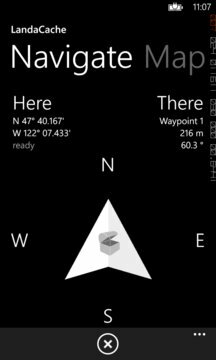 Navigate to waypoints using a compass, on the map or create routedescriptions to the waypoint. Projection of a waypoint, an angle and a distance. All calculations can be previewed on the map. Furthermore notes can be created to store your remarks during caching. Waypoints can be viewed and entered / edited in different coordinate systems and formats. LandaCache itself will not store, transmit or use your personal information in any way. However, LandaCache uses the location services on your phone to function properly.